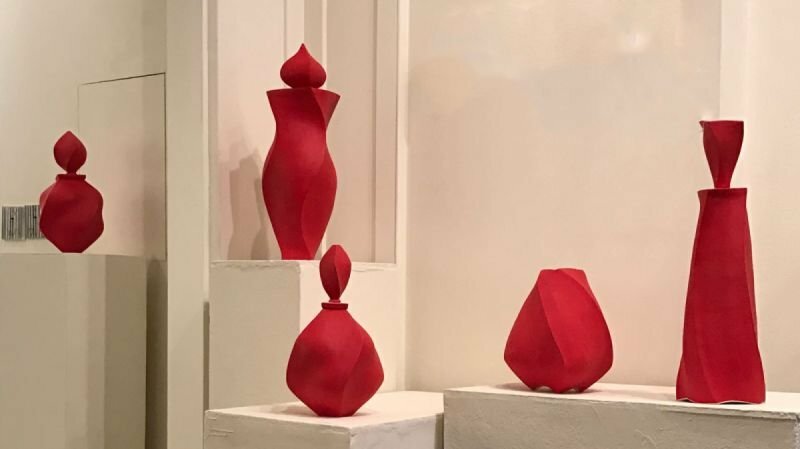 Peter Cunicelli is a Philadelphia artist who has been working with clay since 2000. As a student at The Clay Studio, he discovered hand built vessels and soon began rolling out slabs of his own. During this time, he began developing forms by studying traditional thrown forms and cutting templates. He has experimented with a variety of glazes and techniques and has worked in Raku, wood fire, porcelain, paper clay, cassius bassalt and other stonewares. His current studio practice builds and expands upon the desire to create forms that push the boundaries of form that are balanced between the dramatic and the refined.